It´s incredibly easy to renew your passport when living in Spain – you can do everything online, and have the passport delivered here in Spain. From the 13th of May 2013 the process changed. Instead of sending your passport to the Madrid processing centre, you send it directly to the passport service in Belfast, all via secure post. You can save your application online, for later use, or if you need to print the document elsewhere. You will also need to make payment with a debit/credit card. Important: If you are applying for a first child or adult passport the process is fairly similar, although you may have to attend an interview in person and provide identification and other supporting documentation. Interviews are held as close as possible to your home. The process is the same for a first child or adult passport, but you will have to attend an interview in person and provide identification as other supporting documentation. These interviews are often held at your local British Consulate. Adult passport (32 page) - £83.00 + £19.86 courier fee. Adult passport (48 page) - £91.00 + £19.86 courier fee. Child passport (32 page) - £53.00 + £19.86 courier fee. 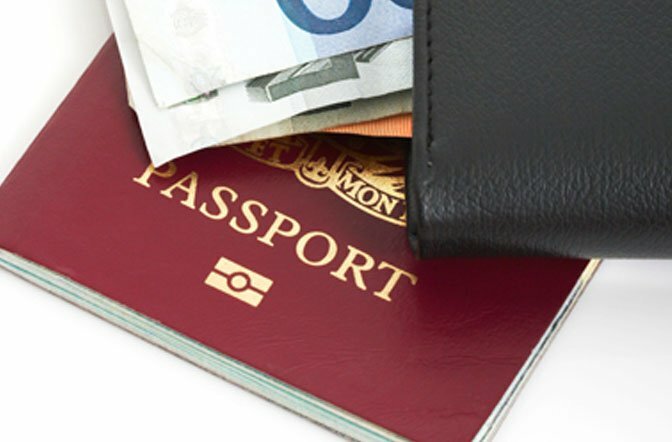 The Courier fee shown above is to cover the cost of returning the passport to you via a secure courier. Your existing ORIGINAL (copies not acceptable) 10 year adult or 5 year children´s passport. Two passport photos of yourself of correct size. To ensure that the photographs are acceptable, you should follow the IPS guidelines, a link to which you will find below. You must make sure the photos are in colour; identical size (45mm x 35mm), and of your head only, without any hat or headdress, your facial expression should be neutral (no smiling, grimacing, or otherwise pulling a face). Unless your visual appearance has changed markedly since your last application, there is no need for your photographs to be certified. How Long Will My New Passport Take To Arrive? The time will vary on how busy the time of year Is, but is usually around 6 weeks. If it is your first passport, then you should expect to wait up to 8 weeks. So it´s important to renew or apply for your passport in good time before any foreign travel. You should check your passport thoroughly for any mistakes – if you don´t notify the passport office of these mistakes within 6 months, you will have to pay the complete fee for a replacement. Contact the passport advice line if you cannot find answers online. This allows you to travel through up to five countries. You will need to report your passport stolen at the local Guardia Civil station, as they will give you the necessary document recording the theft of the document. You can make a provisional police report in English by calling 902 102 112, then go the nearest National Police station to collect the final report.